Rochester researchers showed for the first time that a natural antioxidant found in grape skins and red wine can help destroy pancreatic cancer cells by reaching to the cell's core energy source, or mitochondria, and crippling its function. The study is published in the March edition of the journal, Advances in Experimental Medicine and Biology. The research has many implications for patients, said lead author Paul Okunieff, M.D., chief of Radiation Oncology at the James P. Wilmot Cancer Center at the University of Rochester Medical Center. Although red wine consumption during chemotherapy or radiation treatment has not been well studied, it is not "contraindicated," Okunieff said. In other words, if a patient already drinks red wine moderately, most physicians would not tell the patient to give it up during treatment. Perhaps a better choice, Okunieff said, would be to drink as much red or purple grape juice as desired. Yet despite widespread interest in antioxidants, some physicians are concerned antioxidants might end up protecting tumors. Okunieff's study showed there is little evidence to support that fear. 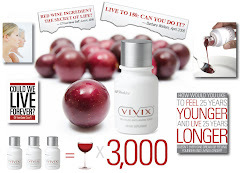 In fact, the research suggests resveratrol not only reaches its intended target, injuring the nexus of malignant cells, but at the same time protects normal tissue from the harmful effects of radiation. "Antioxidant research is very active and very seductive right now," Okunieff said. "The challenge lies in finding the right concentration and how it works inside the cell. In this case, we've discovered an important part of that equation. Resveratrol seems to have a therapeutic gain by making tumor cells more sensitive to radiation and making normal tissue less sensitive." Resveratrol is known for its ability to protect plants from bacteria and fungi. Purified versions have been described in scientific journals as potential anti-cancer, anti-inflammatory and anti-atherogenic agents, and for their ability to modulate cell growth. Other well-known antioxidants derived from natural sources include caffeine, melatonin, flavonoids, polyphenols, and vitamins C and E.
A flurry of antioxidant studies in recent years has not proven how and why they work at the cellular level. At the suggestion of a young scientist in his lab, Okunieff began studying resveratrol as a tumor sensitizer. That's when they discovered its link to the mitochondria. The discovery is critical because, like the cell nucleus, the mitochondria contains its own DNA and has the ability to continuously supply the cell with energy when functioning properly. Stopping the energy flow theoretically stops the cancer. They evaluated the mitochondria function of the cells treated with resveratrol, and also measured apoptosis (cell death), the level of reactive oxygen species in the cells, and how the cell membranes responded to the antioxidant. -- Reduced the function of proteins in the pancreatic cancer cell membranes that are responsible for pumping chemotherapy out of the cell, making the cells chemo-sensitive. -- Triggered the production of reactive oxygen species (ROS), which are substances circulating in the human body that have been implicated in a number of diseases: when ROS is increased, cells burn out and die. -- Caused apoptosis, which is likely the result of increased ROS. --Depolarized the mitochondrial membranes, which indicates a decrease in the cell's potential to function. Radiation alone does not injure the mitochondrial membrane as much. The team also wanted to investigate why pancreatic cancer cells seem to be particularly resistant to chemotherapy. The pancreas, a gland located deep in the abdomen, produces insulin and regulates sugar, and pumps or channels powerful digestive enzymes into the duodenum. This natural pumping process, however, ends up ridding the needed chemotherapy from cells in the pancreas. But just as reseveratrol interferes with the cancer cells' energy source, it also may decrease the power available to pump chemotherapy out of the cell. "While additional studies are needed," Okunieff said, "this research indicates that resveratrol has a promising future as part of the treatment for cancer." In the same journal, Okunieff and his group also reviewed why resveratrol protects normal tissue, and found that antioxidants can be designed to take advantage of certain biochemical properties or cellular targets, making them more effective. The National Institute of Allergy and Infectious Diseases funded the research through a URMC program called the Center for Medical Countermeasures Against Radiation. Co-authors on the studies are: Weimin Sun, Wei Wang, Jung Kim, Peter Keng, Shanmin Yang, Hengshan Zheng, Chaomei Liu, Lurong Zhang, Jacqueline P. Williams, Steven Swarts and Amy K. Huser. All are from the Department of Radiation Oncology, University of Rochester Medical Center.